The teen pregnancy rate is on the rise for the first time since 1990, and a slate of new TV shows depict the trend. But is our cultural fascination with teen moms making the problem worse? The new teen pregnancy shows aren't familiarizing viewers with ways to actually prevent pregnancy, or terminate an unwanted one. Indeed, it seems American viewers cannot get enough of pregnant teenagers: Real-life teen mom Bristol Palin recently appeared on Oprah with her mother, endorsing abstinence until marriage to her flummoxed host. (Sarah Palin awkwardly quipped, “Does that mean you're going to marry pretty young?") In a fictional example on the popular show Glee, a cheerleader and leader of the abstinence club, Quinn, gets pregnant and arranges an adoption with the crazed wife of her glee club coach. The Secret Life of the American Teenager, Private Practice, and Friday Night Lights all featured teen characters getting pregnant in recent episodes. And Anna North at Jezebel points out that the wild success of The Pregnancy Pact, a new Lifetime movie about a semi-fictional pact among Massachusetts high school girls to get pregnant before graduation, shows that we as a culture “are fascinated with teen pregnancy—just not with teaching kids real ways to avoid it.” The Pregnancy Pact was the top-rated movie on ad-supported cable since 1998 among women 18 to 34. Perhaps the slickest example of the trend is the MTV reality show Teen Mom, billed as an unvarnished look at the consequences of teen pregnancy, and sponsored by the Campaign to Prevent Teen and Unplanned Pregnancy. The show follows the lives of four teenagers who have babies, and the main characters grapple with real problems as the cameras roll. “I just want Bentley to have a dad,” says Teen Mom star Maci, tearing up in front of friends who ask about her relationship to her unhelpful boyfriend, Ryan. Another teen mom, Amber, sobs in front of a career counselor as she realizes she doesn’t have time to get her GED now that she’s working and living on her own with her baby. Catelynn, who gave her baby up for adoption, begins to cry when she sees photos of her six-month-old. “What do we say about that?” asks the slightly overbearing representative at the adoption clinic. “It’s not goodbye, it’s see you later,” Catelynn obediently repeats, tears still streaming down her face. Sure, Teen Mom depicts real young women—women who know they shouldn’t have gotten pregnant in high school with their deadbeat (or even non-deadbeat) boyfriends. But either way, these girls are the stars of a popular reality show, produced by the same person who was behind the mega-hit, glossy reality series Laguna Beach. Like Laguna Beach, Teen Mom is highly stylized—there’s a soundtrack, girly animation that flashes up when the show switches from one teen mom to the next, voiceovers, and uplifting narrative arcs punctuated by moments of emotional clarity from the show's stars. For example, by the end of the season, Farrah, the spoiled 18-year-old co-raising her daughter with her controlling mom, decides to stop fighting and begin appreciating her mother’s help, saying in a voice-over that her mom is her “partner” in raising her daughter. It's possible that Farrah actually did feel completely at peace with her mother just in time for the show's season finale, but only the week before the show aired, reports surfaced that Farrah’s mom had been arrested for assaulting her, belying the show's neat ending. But even more troubling is that the new teen pregnancy shows aren't familiarizing viewers with ways to actually prevent pregnancy, or terminate an unwanted one—depictions of abortion have always been taboo on American television in the U.S. In real life, though, girls talk about birth control, condoms, and even abortion. On TV, the message is simply, It's horrible to get pregnant as a teen. By ignoring the prevention aspect, at best they are obscuring contraception, and at worst, making it seem weird or taboo. "If we avoid pregnancy in the first place everybody is better off," he said. That may be true, but it's unclear how a parade of pregnant teenagers on television is going to further that goal. Liz Goodwin is an assistant editor at The Daily Beast. 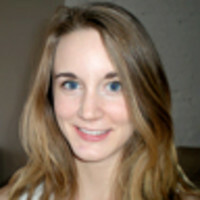 She has written for The New York Sun, GothamSchools, the Tico Times, and Fodor's Travel Guides.